Emerging technologies have started to disrupt whole industries and in doing so are demonstrating their role as amplifiers for solution development. Robotics are improving farm productivity in Indonesia and delivering innovative vertical farming solutions in Japan. Virtual Reality, AI and the IoT are changing the healthcare sector across the US and Europe with simulated surgical training, real-time diagnosis and prevention while drone technology in Africa is helping overcome last mile distribution challenges. In Estonia, Blockchain is already being used to create digital identities. While in advanced economies emerging technology use cases aim for reformative or incremental change, their application can be truly disruptive in Africa where leapfrogging is possible in the absence of legacy systems. Robotic surgical systems and AI are supporting doctors in developed countries. In African countries, where lack of qualified doctors is a fundamental bottleneck, connected robotic systems and AI can reduce the dependence on healthcare professionals. With the Urology Hospital in South Africa taking the first step in introducing robotic surgery, we are already witnessing this transition. Emerging technologies and their role as impact amplifiers change our outlook on how the African continent will overcome some of the biggest development hurdles. Just as the mobile phone has demonstrated how one device has the ability to leapfrog development stages, we predict that emerging technologies have the potential to catalyze exponential transformation through making quality products and services available at affordable prices and through channels that are close to low income customer. At a high level, emerging technologies with high impact potential are characterized by their abilities to deliver real time data at speed, hence providing deep insights for decision making. This allows for customization of solutions. The growing importance of the individual spurs innovations for democratizing access to products and services. Through a combination of forces, emerging technologies can disrupt whole industries and solution systems. Each lever, valuable in its own right, sets the stage for the next level. Increasing connectivity and the uptake of emerging technologies are driving up the speed at which products and services are delivered, leading to the growth of the “on demand” economy and the “uberization of everything”. Emerging technologies allow collecting, analyzing and sharing of huge amounts of real time and longitudinal data. This trend will be accelerated by the rapid increase in the number of connected devices, estimated to reach 25 billion by 2020. Better real-time information enabled through IoT sensors and connected devices will drive efficiency by reaching similar impacts with fewer resources or greater impacts with same resources. Likewise, through real time access of information, emerging technologies will allow faster monitoring of humans, machines and ‘things’ and drive a shift from human-to-human to machine-to-machine and eventually “everything-to-everything” communication. This has implications across sectors as the ability to exponentially increase the speed of data access will create new kinds of marketplaces and platforms. 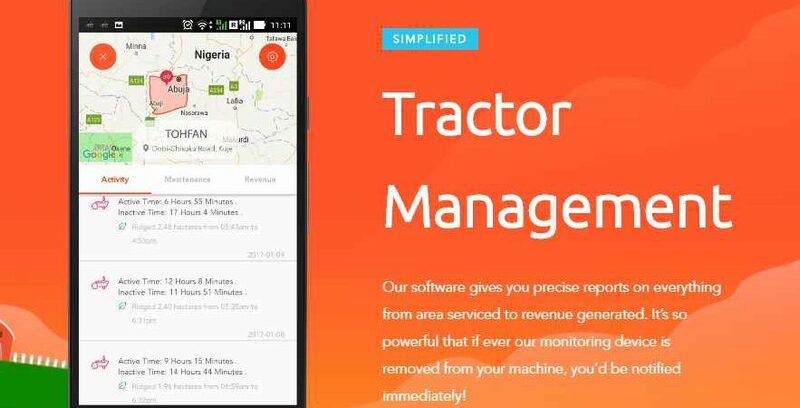 Nigeria-based Hello Tractor leverages IoT to provide farmers with the opportunity to rent a tractor on demand. Learnmine connects students and tutors for facilitating ‘on demand’ education. Kenya-based Able Wireless is an on-demand wireless streaming service provider that provides coaching equipment and solves the local connectivity challenge. Related to the capability of providing real time and longitudinal data is the ability of emerging technologies to generate deep insights that help decision-making, prediction, optimization and control. Sensor technology and IoT allow monitoring of products, processes, conditions, operations and the external environment. More importantly, these technologies use the data to judge a product’s performance, track the operating features of a product and understand the usage and lifecycle of a product. This ability to gather data and generate deep insights has implications for product design and development, market segmentation, marketing, and after-sales services. It allows not only better prediction and judgement, but also action and outcomes. Similarly, emerging technologies provide the ability to control via algorithms and commands that allow remote management. This has implications for the way we look at problem solving in emerging market contexts. In agriculture, for example, while sensor technologies enable real-time monitoring of soil data, they also facilitate more targeted interventions and drive efficiency and effectiveness when it comes to use of agricultural inputs. With this capability, emerging technologies shift the framing of the problem from productivity to prediction. While solar home systems are typically adversely affected by cloudy daytime conditions, Kenya-based Azuri uses an AI-based power management system that learns customer’s typical power usage pattern and adjusts the brightness of lights to meet their requirements. Air Shephard uses drones with the aim to stop elephant and rhino poaching. It also uses predictive analytics to identify poachers. Illuminum Greenhouse uses solar panels and sensor technology to create a controlled environment to grow and monitor crops. Sensors collect data on temperature, humidity and soil moisture and send this to farmers via text messages, allowing them to monitor and regulate their greenhouses without having to be on the farm. The ability to provide real time and longitudinal data and insights based on such data enables emerging technologies to chalk out new avenues for customization of solutions that were economically unviable earlier and which potentially disrupt product design, development and marketing. With emerging technology advances and increase in machine intelligence, prediction will become cheaper and more accurate allowing for more targeted solutions for the individual. Intelligent software, IoT platforms, AI and other cognitive technologies have the abilities to understand user behaviors, to interpret needs, and even to make decisions on their behalf. They also enable alternate forms of risk management. These capabilities have implications for product design. For example, in the financial services sector, the ability to generate deep insights allows financial institutions to develop alternate forms of risk assessment and manage uncertainty, and thereby create more customized products and solutions. 4GCapital leverages Blockchain technology to provide very short term loans for informal market traders to grow their businesses and support them with advisory and training services. UjuziKilimo uses a sensor-based analytical system to measure soil characteristics to help farmers understand soil quality. Information is collected by using soil sensors, which is sent to a central database for analysis. Farmers receive a text message with tips on managing the soil and personalized advice on preferred crop breeds, pest control, current market value of crops, tools required and where to find them. South Africa-based Obami provides customized education through a platform solution that facilitates communication between learners, teachers, parents, and educational administrators. The platform seeks to combine social networking tools with a virtual learning environment. Speed, deep insights and customization lead do decentralized solutions and “democratization of everything”— furthering the spotlight on the individual and the community. Real time monitoring, improved predictive and decision making capabilities and customization of production and solutions along with the possibility of removing intermediaries, boosts democratization and autonomy. While examples like crowdfunding are more established, the potential of emerging technologies to democratize basic services goes far beyond financial inclusion. More sophisticated “smart” solutions are able to learn about their environment, self-diagnose needs, and adapt to customer preferences. 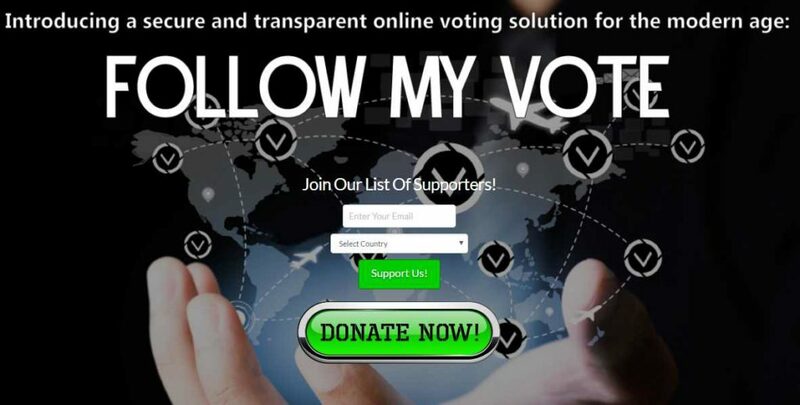 Blockchain-enabled peer-to-peer marketplaces, for example, can democratize access to basic services like energy or water. Decentralized, autonomous products are able to communicate with other devices and systems, creating potentially exponential democratizing effects. Experfy, through its IoT application, gathers vast volumes of data about water quality which can then be integrated with geographic and population data representations. Analysis of this data through data visualization and scenario simulation tools enhances monitoring of water quality by generating a single, reliable, and actionable geospatial view of water resources and management systems in real-time. In the future such insights can be fed back into communities to provide them greater control over management of their water resources. Emerging technologies can converge to have potentially disruptive effect on industry structures and established solution systems. System change happens in two ways. Firstly, emerging technologies through the series of capabilities discussed earlier, change the way products and solutions are developed from design, production and marketing to customer engagement phases. Secondly, emerging technologies have a disruptive impact on existing industries by prompting new market players to challenge existing ‘rules of the game’ by cutting intermediaries and capture greater value through broader product definitions. As such, emerging technologies and their capabilities may lead to new types of substitutes, new business models and new product systems that are radically different from traditional ones and more importantly aim at overcoming fundamental shortcomings associated with the latter. Lo3 Energy is piloting the first ever micro-grid project using Blockchain technology in New York. Its TransActive Grid aims to facilitate energy distribution via a peer-to-peer energy trading model leveraging convergence of AI, IoT, and Blockchain, The innovation can potentially replace the conventional power grid as the primary source of energy for households.